You are able to choose how your donation is used. Typically, our donors give a gift towards our Assisted Places Awards Scheme or to a capital project. Please allocate in the form below how you would like your donation to be used. Alternatively, contact our Finance Manager Homera Najib on 01274 553708 or at HNajib@bradfordgrammar.com to discuss this in more detail. Please complete the form below to give either a one off gift or to set up a regular payment. Read more about making a gift to BGS. As a registered charity, Bradford Grammar School is able to claim Gift Aid on donations we receive, which is 25p for every £1 donation. Please remember to tick the appropriate boxes on the form below. 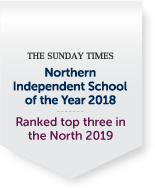 All gifts to the School are greatly appreciated and ensure deserving children can access an excellent education at BGS, regardless of their economic standing. Please fill in the form below and click submit to go to our online payment. Please note all fields marked with an * are required. *I confirm that I have paid, or will pay, an amount of Income Tax and/or Capital Gains Tax for each tax year (6 April to 5 April) that is at least equal to the amount of tax that all the charities I donate to will reclaim on my gifts for that tax year. I understand that other taxes such as VAT and Council Tax do not qualify. I understand that Bradford Grammar School will reclaim 25p of tax on every £1 that I donate. Would you like to make this payment on a specific date? Which date would you like to make the payment on?